Originally from Bangalore (South India), but having grown up in the French Alps, Noelline Besson decided to move to New Delhi in 2005. 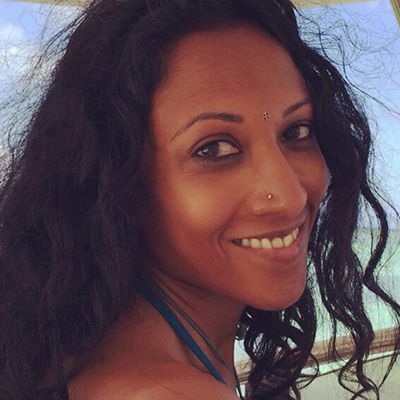 Having chosen to return in France during the summer of 2014, she established Ashoka Ayurveda in order to develop her activity in Paris and the other regions in France, aiming to share the Ayurvedic way of life and its wellness approach to body and spirit. She has dedicated herself to the Ayurvedic body therapy, nutritional consulting and medicinal plant reflexology. Meet and assist by a representative of Mai Globe Travels on your arrival at the Bandaranaike Airport, As you will be greeted by the tropical air of our magical island, you will be chauffeured to your first destination Negombo, a beautiful beach town, nicknamed “Little Rome”, close to the airport and therefore ideal to recover from your long flight. 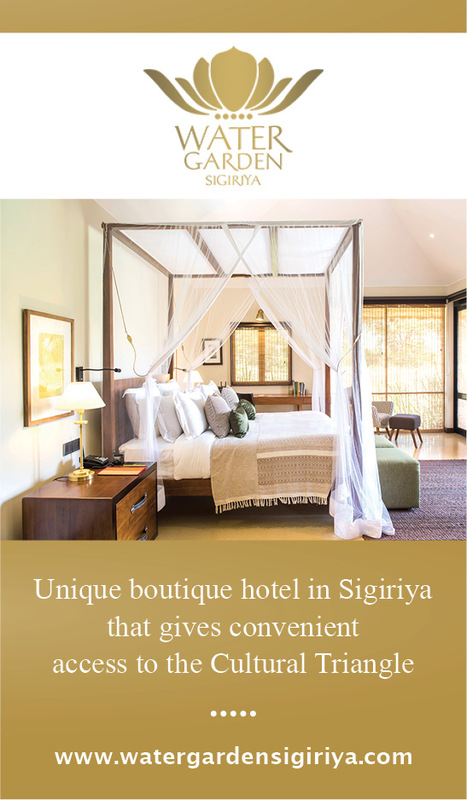 Settle into your hotel which we will reserve for the night of your arrival. You can go for a walk around the town, overlooking the beautiful colonial churches also fish and vegetable markets. Dinner at leisure. After breakfast, you will be chauffeured in your private vehicle to the mountains. 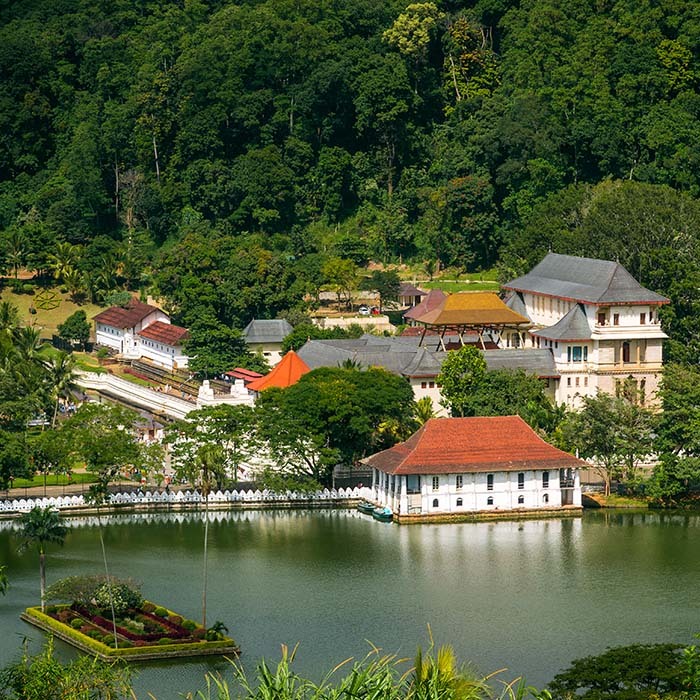 While on your journey you could enjoy the luxurious Sri Lankan landscapes pass before your eyes: rice paddies, coconut plantations and mountains. 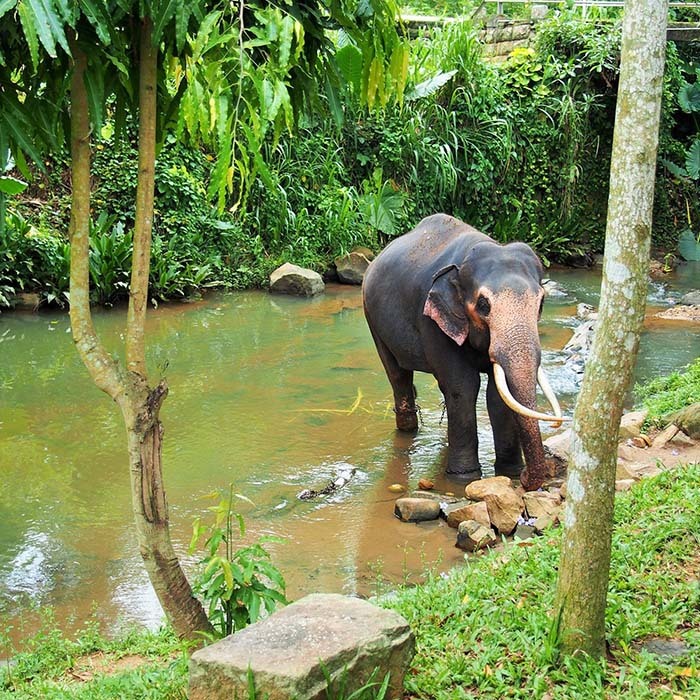 As an option, you can make your first stop in Kegalle for a visit of Millenium Elephant Foundation, a center that takes care of the elephants. Go for a walk alongside the elephant (we do not recommend back rides), help the caretakers give the elephants their bath and receive a shower from the animal’s trunk. You can visit a small paper making museum which recycles the animals’ bio-waste. 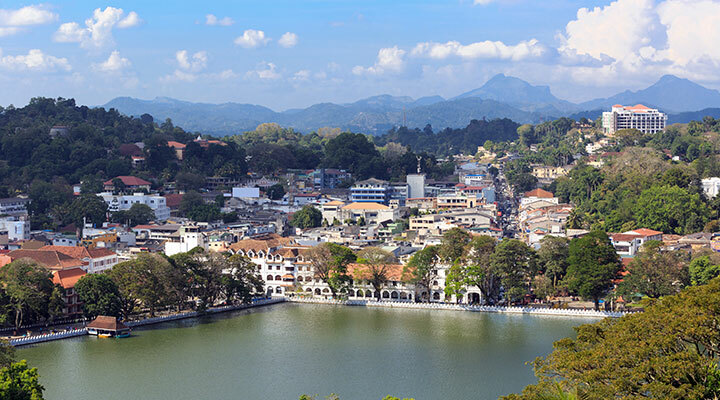 Continue to Kandy, and check into your hotel situated outside of the city in a beautiful mountain setting. You will begin your Ayurveda retreat here with a daily therapy program.You spend 7 days and 7 nights in this hotel on full board basis. 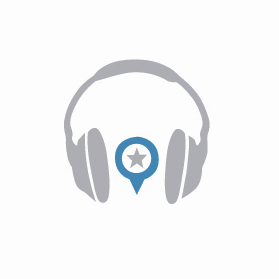 Possibility of one or multiple meditation sessions with a Buddhist monk. On your way to the monk’s hermitage, located at the foot of a beautiful mountain in the Knuckles Range, you can enjoy spectacular views of the surrounding tea plantations. After a short trek through the tea estates via the roads often taken by the tea workers, you will reach the monk’s abode. 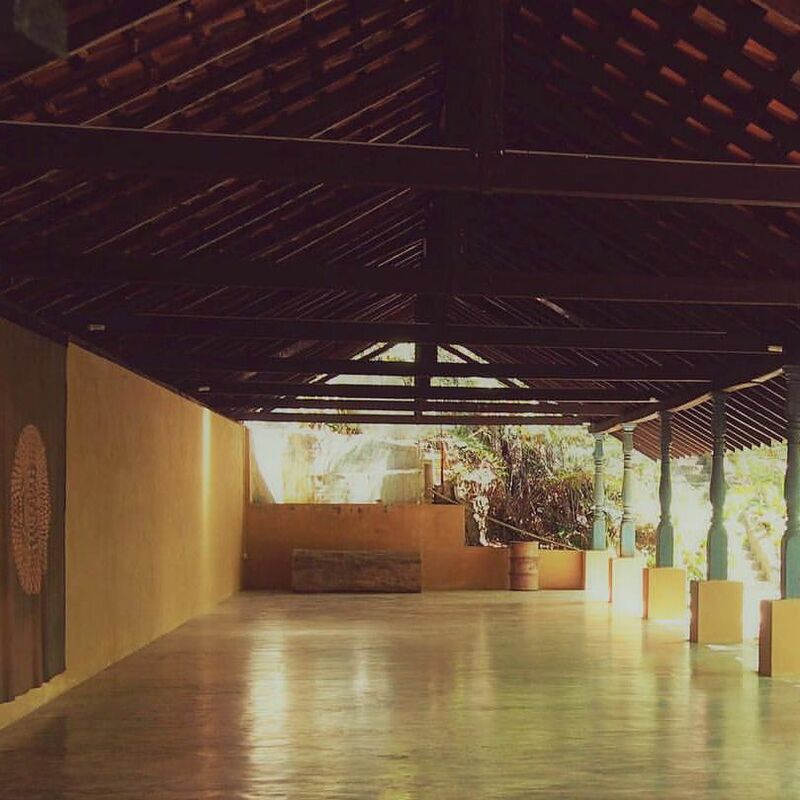 Surrounded by trees and a beautiful garden, this is a perfect setting to explore the Buddhist teachings. After the meeting you can partake in an individual or group meditation session. 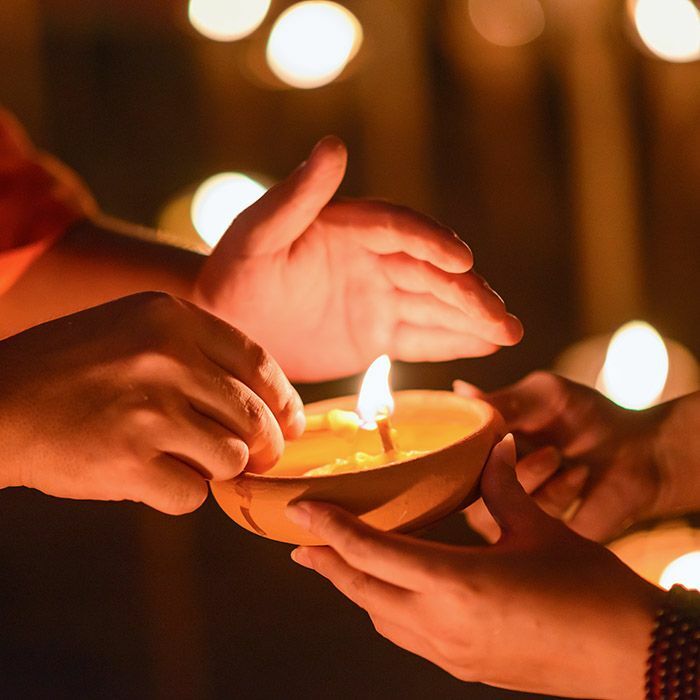 Recommended donation for the meditation with the Buddhist monk: $25 per person. Note: the sessions are optional and they are not included in the price of the retreat, they can be organized directly with your hotel. Today, you can visit a spice garden in Matale. This visit is the perfect occasion to discover a multitude of spices, accompanied by explanations on their use, between culinary and therapeutic treatments. If you wish, you can also partake in a culinary workshop with the garden. 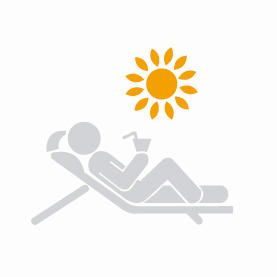 In the afternoon, you can enjoy the wellness program. Note: the visits are optional and they are not included in the price of the retreat, they can be organized directly with your hotel. Tea factory or trekking in the "Knuckles Range"
In the morning or afternoon, you can enjoy the wellness program. 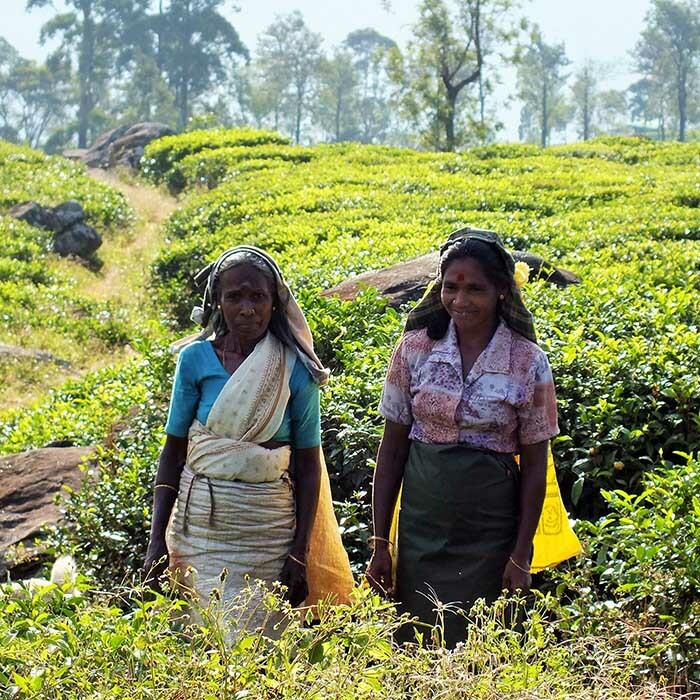 Later, it is possible to visit a tea factory to learn more about tea cultivation and the process of making a perfect cup of Ceylon tea, meet the workers and see them at their daily task of plucking the tea leaves. Otherwise, you can go hiking in the Knuckles mountain Range. You will begin by climbing via the eucalyptus forest, but also other alternating dwarf vegetation, before reaching the top from which you will get a great view of the surrounding mountain range, receiving its name from its resemblance to the knuckles of a hand. You will see many endemic species along your way, a multitude of birds and the horned lizards. Enjoy a leisurely picnic, then take the trail down to the valley. Don’t forget to grab your swimsuit and take a refreshing dip in a small waterfall. Return to your hotel. 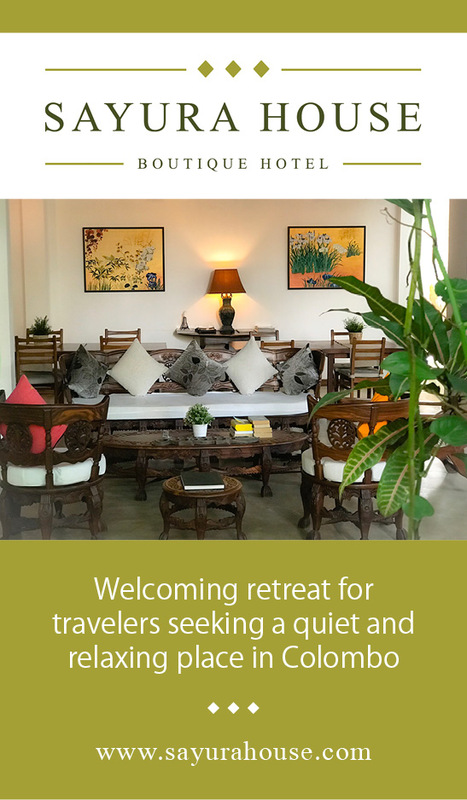 Note: the visits are optional and they are not included in the price of the retreat, they can be organized directly with your hotel. You can partake in a jewelry making workshop with an artisan in his studio at the hotel. Sri Lanka is one of the biggest producers of precious stones in the world and its famous for its blue sapphires. 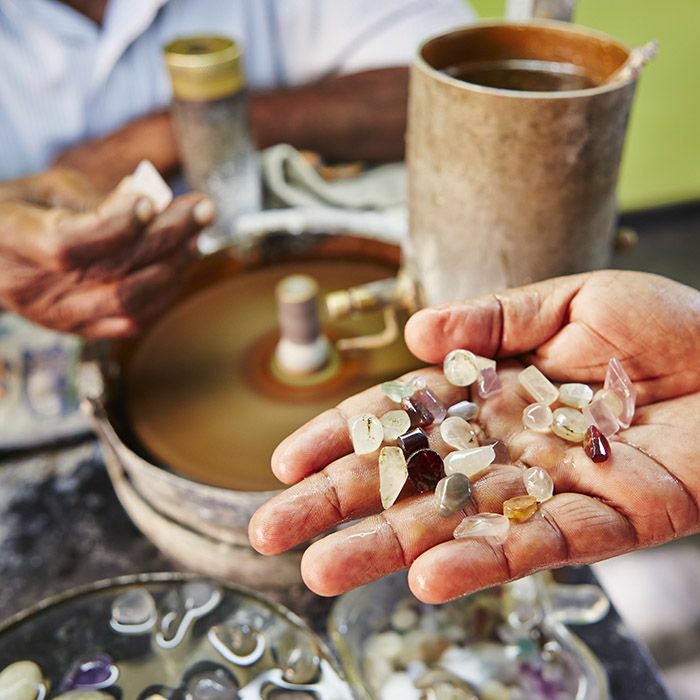 The stones are extracted from the mines and formed on location, then exported to some of the greatest jewelry makers in the world. You can not only observe how the stones are cut and polished, but also learn to do it yourself. Only once the stone is polished you will see the beautiful colors emerge. If you wish you can buy one for yourself or your close ones. The other half of the day, enjoy the wellness program. 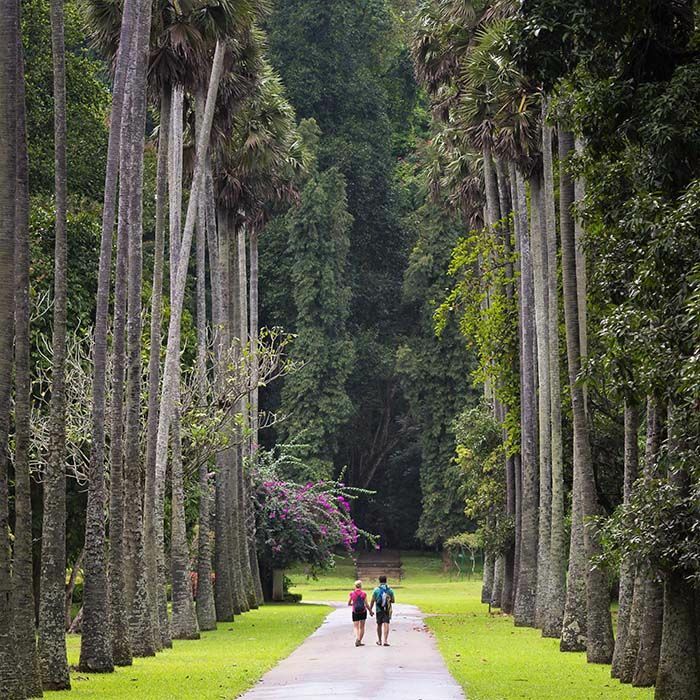 In the morning, we suggest a visit to the Peradeniya Botanical Gardens, which stretch over 60 hectares of tropical botanical paradise on the edge of Mahaweli River. Not to be missed: royal palm trees, canon ball trees, the rich orchid collection, multicolored flowerbeds. This garden offers a very beautiful walk, an absolute must! Count on about two hours for this visit. Upon Completion leave to Colombo. 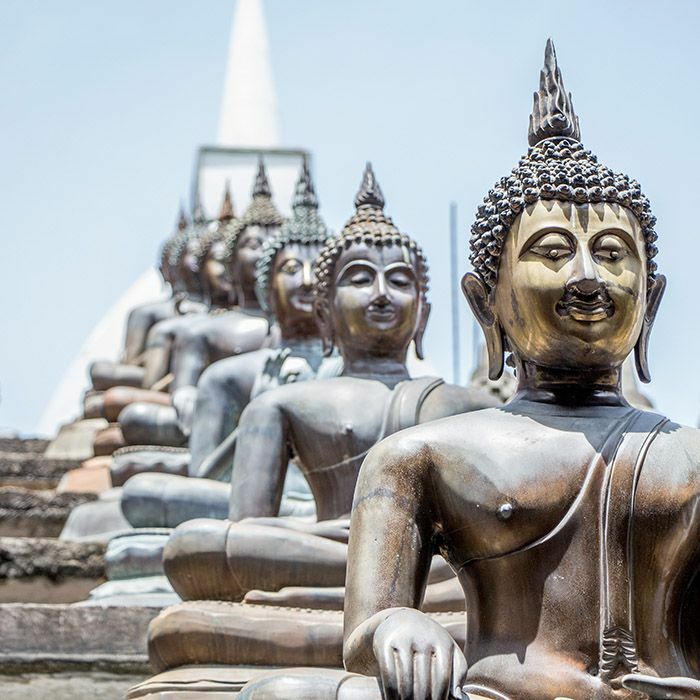 Depending on the available time, you can go for a city tour of Colombo, Sri Lanka’s main metropolis bustling with lots of activity. As a suggestion, you can visit the Dutch fort and museum, discover the busy Pettah neighborhood, its markets and the mosque, as well as City Hall’s colonial-era architecture. It’s here that you can take advantage of some last-minute shopping in charming boutiques and even stop by to meet your local travel agent! Dinner at leisure. Depending on your flight timings to fly back home, walk around Beira Lake to explore the Buddhist temple of Gangaramaya. 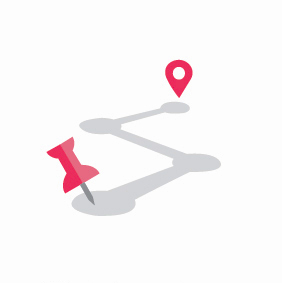 It's also an opportunity to stock up on souvenirs and meet your local agent before heading to the airport. After a relaxing and enriching journey, all the smiling faces wish you a safe journey home. 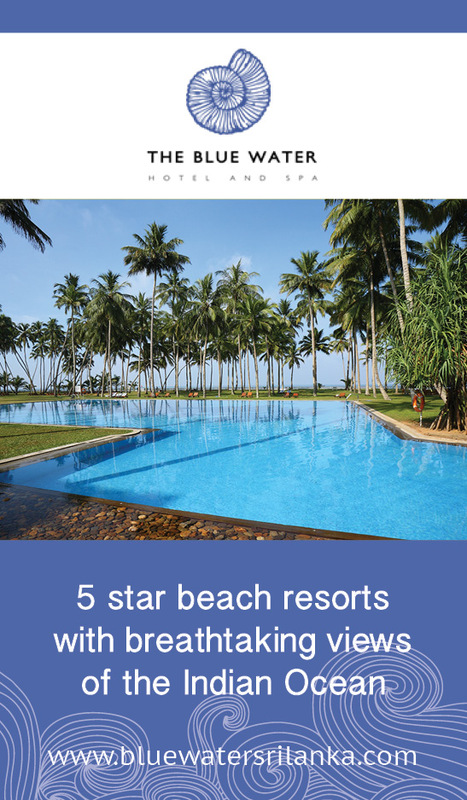 We hope that you will keep the best memories of your holidays in Sri Lanka. Transfer to the airport for your departure flight. End of your journey in Paradise.